Brown, Corradi & Guandolo Wealth Mgmt. The Brown, Corradi & Guandolo Wealth Management team is a full-service financial provider of retirement solutions, investments, and customized financial planning. The team consists of Marc Allen Brown, Maria A. Corradi & Christopher J. Guandolo, CFP® serving a nationwide client base. Our ideology has remained consistent in our combined 40+ years of experience in the financial service industry; we emphasize customized, strategic long-term planning and discourage short-term speculative trading. We believe in comprehensive financial planning; incorporating investments, tax efficiency, estate and legacy planning, charitable giving, education funding, and more. Our team will partner with our clients’ existing attorneys, CPA’s, and insurance professionals throughout their professional and personal lives to create and maintain a dynamic plan that addresses their unique needs and goals. New clients entering into a relationship with Brown, Corradi & Guandolo Wealth Management are typically seeking comprehensive wealth management solutions, and engage in a fiduciary relationship with complete fee transparency. Our clients understand that in order to provide effective financial advice and investment management services, we need to have a thorough understanding of our clients’ entire financial picture. Our team provides wealth management services to individual families, small businesses, foundations, and pension funds. We are also extremely proud to be associated with FLEOA and the FLEOA Foundation , providing advice to Federal Employees and Officers around the globe in regard to their unique federal retirement and benefit packages, incorporating FERS, TSP, FEGLI and other benefits. The Brown, Corradi & Guandolo Wealth Management team was strategically created to unite diverse backgrounds in order to provide the best possible advice and service to our clients and their families. We are extremely proud of the fact that many of our client relationships extend back over decades, and multiple generations of family members. As a result of our efforts, our team has been named multiple years as the “Best of the Valley” for Financial Planning/ Investments by the Beaver County Times . 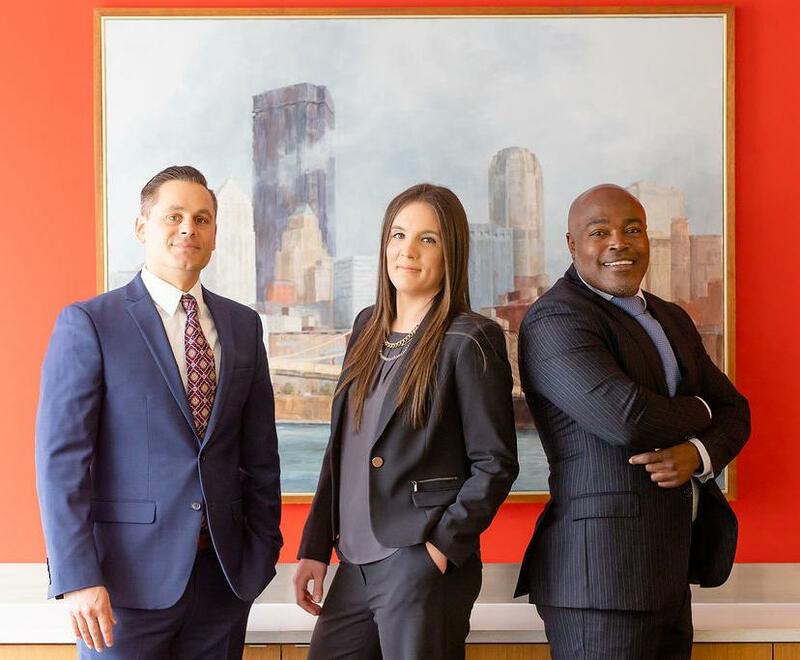 Our team members have been named “Top Wealth Managers” multiple years by Pittsburgh Magazine , and recognized nationally for their efforts by FLEOA and the FLEOA Foundation. Brown, Corradi & Guandolo Wealth Management has been invited to speak across the country and overseas in regard to their unique knowledge of the federal retirement and benefits system, as well as broader Retirement and Financial Planning topics. They have spoken in front of thousands of individuals regarding the complex issues surrounding Financial Planning, the financial impacts of Energy and Mineral Rights, Alternatives to Low Interest Rate Savings and CD’s, and Risk Reduction Strategies. The Brown, Corradi & Guandolo Wealth Management team is firmly committed to the philanthropic community as well, holding active roles on various boards, churches and other-non-profits. The team’s efforts have led to hands-on work in relief and mission trips, mentoring youth, and aiding in the construction of homes, schools and hospitals for those less fortunate.